An Oprah's Book Club pick. "A Lesson for Dying is set in a small Cajun community in the late 1940's. 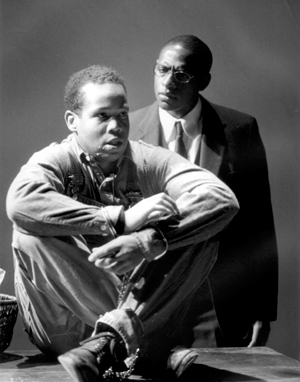 Jefferson, a young black man, is an unwitting party to a liquor store shootout in which three men are killed; the only survivor, he is convicted of murder and sentenced to death..."
"I was not there, yet I was there. No, I did not go to the trial, I did not hear the verdict, because I knew all the time what it would be. Still, I was there. I was there as much as anyone else was there. Either I sat behind my aunt and his godmother or I sat beside them. Both are large women, but his godmother is..."
This bookray will remain open at all times. Please send me a PM with your mailing preferences if interested in joining. Do remember that the order of participants is subject to change at any time due to mailing preferences or geography. Enjoy the book! AngelfireStar (Nebraska) done -- 1 year of travel. Ftarazu (Portugal) done -- 2 years of travel. FiBe (UK--(UK) done -- 3 years of travel. This bookray was ended because the last person was unable to reach the final few participants by private message. This book traveled for four years and stopped in 5 countries including 4 staes withing the USA. Thanks, all, for your participation!! What drives the book is the reluctance with which Grant Wiggins, a black teacher, deals with the charge of having to make Jefferson, a black man unjustly on death row, walk to his death as a man. 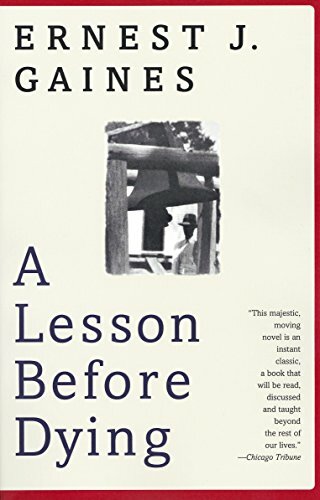 It's a lesson for the teacher, the death row inmate, and also the people of their small plantation town. What is ultimately taught is the lesson of dignity. A profoundly sad and moving book which reflects on the situation of blacks in a white world and shows blacks cast in the role of second class citizens. The book is now in the mail to hulamonkey in Ohio with a bookmark/packing slip that has flowers from my very own garden. Enjoy the book! The book is here and I've already read it. I made a journal entry when it originally arrived, but it's not posted so I don't know what happened to it. The bookmark is really cool. The flowers are so pretty! Thank you, SqueakyChu. I'm having a hard time deciding what to say about this book. I enjoyed the story, I really "felt" for many of the characters and it just made me think a lot about lots of different things. Just received, have three bookrings ahead of this one, will plow through ASAP! Just finished, what a remarkable book about redemption through communication. Already have Suefitz's mailing address. Will post it this week! Sent to suefitz, next reader in bookring. Great - hope to read a lot during our 2 weeks of shutdown over the Christmas holidays. Finished - it was a very slow book for me and I put it down several times. Sorry for holding it up for so long. Recieved it yesterday. Will read ASAP. I have another bookring before it. It's taking a little longer than I expected to read my current bookring. But I will be getting to this one next. Sorry for the hold up! Great book. It wasnt to long of a read. Not what I expected but still very good. I might have to find a copy for myself soon. Still waiting on an address to send too. Forgot to do this when I sent it but the book is sent to kizmiaz. Sorry again! Just got it in the mail, thanks AngelFireStar and SqueakyChu. Still have one to finish before I start this one but it shouldn't take long. This is quite a simple but powerful story; maybe it’s the simple way in which it’s told that makes it more powerful. I don’t want to give out too much here but the “lesson” in the story works for the reader too; there are a lot of little lessons here some about racism, some about the idea of God, some about faith in the human condition and a very important one about standing for what you believe, no matter how strange that may be or the personal discomfort it can bring. Plot wise and character wise this is a very well achieved piece of writing, which reveals the story a little like peeling an onion, layer by layer. I didn’t feel the story was weepy, and I’m not a cry-baby (don’t have anything against them though I’m just not one) but that ending brought some tingling to my eyes, maybe it was some dust that got caught in my eyes at the time but probably not. I'll be sending the book on asap. Received book on Friday, busy reading "Bloodletting..." then will get on to this one, thanks for sharing! Enjoyed the book very much, have asked Ftarazu for address. I have posted the book today 1st Oct. but please do forgive me for the long delay, I had health issues with my Dad and my PC crashed and it all came at the same time...also please note that I asked Ftarazu for the address and although I see on the members list that she is listed as living in Aveiro the address I got is of Braga?? The book is with me now. Im looking forward to read it. menalima, just want to let you know that Im from Aveiro but Im working in Braga. This was a very simple and nice book but nevertheless with a very powerful and meaningful message and story. The characters give us a lesson about racism, prejudice and life itself. I think it a great book. Thanks so much SqueakyChu for sharing it. I already have FiBe address and will send it asap. Book received, sorry for the delay in journalling. I am half way through it and hope to have it finished and on to the next person within the next two weeks. So sorry, various life factors got in the way but not trying to make excuses. Many many apologies I had a flood at my house (leaking pipes) and sent everything out of that room to my mum's for safe keeping while it got repaired. Unfortunately this book was amongst the stuff stored away. It is now on its way to Singapore to the next person on the list via airmail so hopefully it won't be too long before it gets there. I had received some time back! Apologies for registering late!!! Will get started reading as soon as I can!!! A quick read. A young boy was being judged for a crime that he didn't commit. Comes in a teacher to redempt his soul. Hard to say, a view in life of wanting to help another person. Some reflections. Pming the next reader. BellaMack asked to be skipped, had msg jubby. Received in the post today. Whether it is because of the new bookcrossing website, or because the PMs are down, I've not been able to get into contact with E-s, so I will wild release this book, in an attempt to keep it travelling. Plan to release while out shopping with our 22 month old son - who is making this journal entry rather difficult to make!